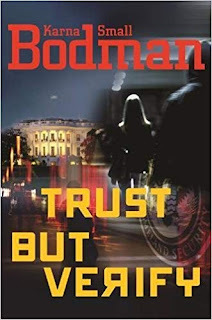 Rogue Women Writers: Are Thriller Writers Prescient? Many thriller writers see a headline and say to themselves, "I see a crisis occurred.What if I could come up with a scenario whereby my hero or heroine stops a similar threat?" Of course, there are wonderful novels that do just that. However, what if the headline comes after the book is written? This has happened to several writers. In fact, certain aspects of my own novels later came true. For example: Several years ago I had an idea about creating a story featuring a couple of Putin allies who were steeped in illegal activities and money-laundering. I wrote that these characters were hit by sanctions and needed to replenish their accounts. So they come up with a heinous scheme to target international financiers and get rid of US officials who were trying to close down their accounts. I did the research and wrote Trust but Verify which will be released next week. selected authors have been invited into the Department of Homeland Security for what we call "Red Team/Blue Team" exercises. Bestselling author Brad Meltzer was one such writer who met with those officials and laid out possible terrorist threats to our country. Then national security experts tried to figure out how to prevent such scenarios and protect the country. 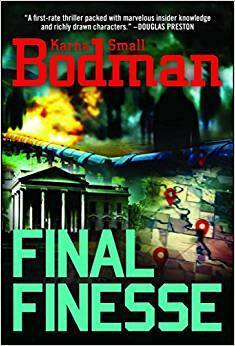 Many of Brad's great novels take place in and around Washington, DC, The White House, the agencies - and deal with historical as well as contemporary issues. I always learn so much when I read his well-researched books. Another terrific author who has written thrillers that turned out to predict the future is our own Rogue, Jamie Freveletti. 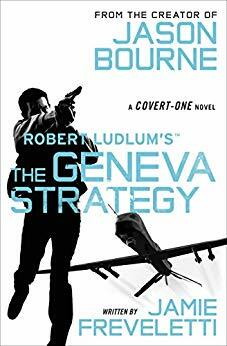 Several years ago I read her bestselling novel, The Geneva Strategy, that features a man who programs certain kinds of drones. her characters. That book came out in 2015. Now think about the headlines you have seen recently about the invention and use of advanced drones that can be used in various combat situations. Yes, Jamie certainly has a crystal ball when it comes to conjuring up great stories. 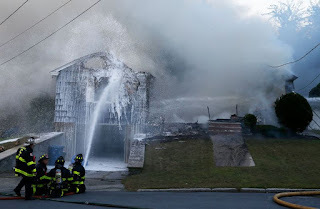 As for the headline coming after the book, we have now read about the series of explosions of natural gas pipelines in the Boston suburbs last week that caused havoc, destroyed homes and injured people at 70 locations. A fire chief said, "I've been in the fire service for almost 39 years, and I've never seen anything like this in my entire career. It looked like Armageddon...an absolute war zone." And at this writing, officials still haven't figured out the cause of the catastrophe. Our thoughts are with the victims of this devastating event. I have to admit that when these "prescient" things happen, it kind of "freaks me out" and I pray that different threats to our national security that I and other authors write about will never become reality, though I write about them to bring attention to these types of challenges. I recall a great quote by George Bernard Shaw who said, "The best way to get your point across is to entertain." And that's what all of us are trying to do -- create thrillers and mysteries that will make a point, but also entertain you, our readers. Now, can you think of books you've read that told a story that later came true? Think about it and leave a comment here, or on our Facebook page (the icon is at the upper left). And thank you for visiting us here on Rogue Women Writers. So far I haven't predicted anything...that I know of. Except perhaps movie plots--I was horrified when, after I began writing Takeover which dealt with a bank robbery/hostage situation, I watched the movie Inside Man with Clive Owen. Me: They stole my plot! Ah, yes, Slender Man, Lisa Black! What a fascinating case. I've predicted several things in the intelligence community, including the existence of Robert Hanssen, including his first name and how he was discovered. It's fun when it happens! The most I've ever "predicted" was the title to a TV series that came out after one of my books, which always led to fan email questions as to whether my book was about *that* TV show. COLD CASE and years later, BLACK LIST. The good news is that both TV shows were hits. So maybe the TV execs need to contact me for TV titles! Hi Karna: Thanks for the shout out about The Geneva Strategy! Yes, the drone wars are truly terrifying and appear to be the wave of the future. And had to laugh when I saw Lisa's comment above, more than once I've seen plots that are so close to what I've been considering. Nice post! I'm late to this discussion, but I have to say it happens. I'm wondering if sometimes its just we do so much research that we see connections between things that the average reader or TV viewer doesn't. I've seen plots on TV and in books that I thought of but someone else has produced or written first. Sort of like the invention or App you think of only to find it's already been done or under patent. And I would bet most of us can watch a show or read a book and predict the ending more often than others.